Bridges, by their very function, are romantic: they bring two separated pieces of the world together. More than this, they stretch out over a flat of shimmering water and invite the horizon to be viewed. In all weathers, in all seasons, bridges are beautiful and inspiring. Just by their very existence, they encourage us to cross them. And often, when we do stroll over them, we do so, with someone that we love. 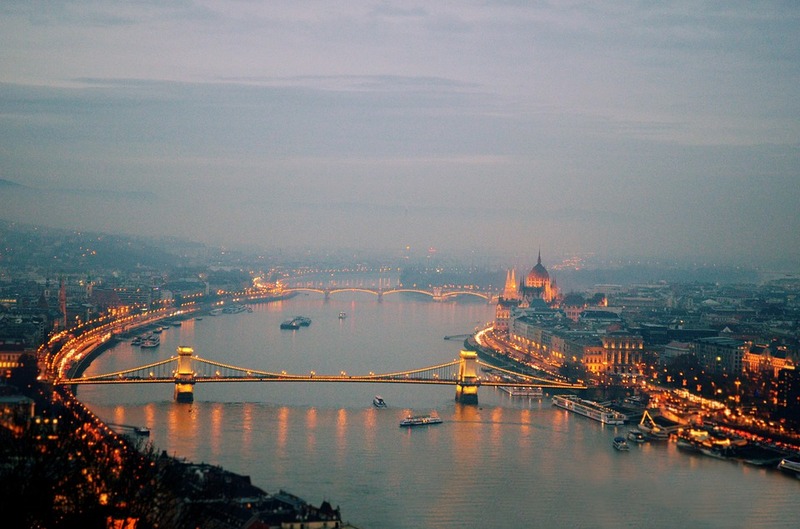 Here we present some of the beautiful bridges of Budapest that to this writer, appear like old friends. 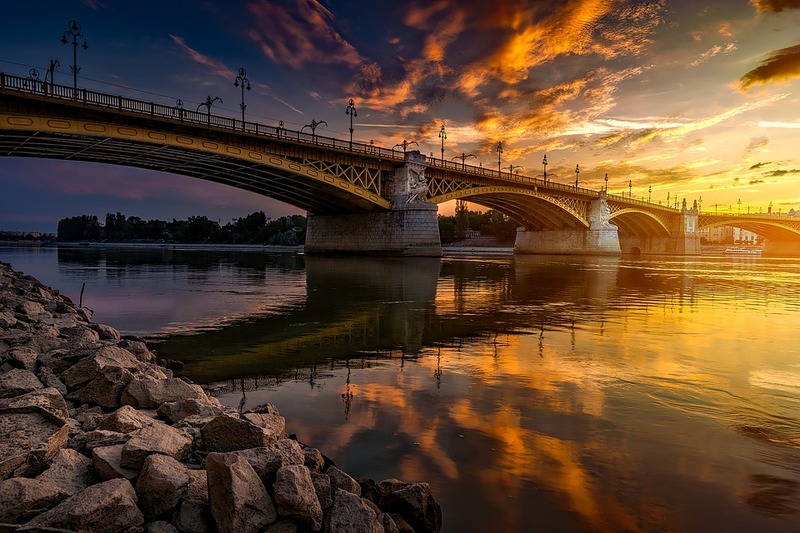 Decorated with ornate lamps and serpents, this large and expansive bridge gives breathtaking views of both Buda and Pest, but also of some stunning cloud formations and vast skylines. 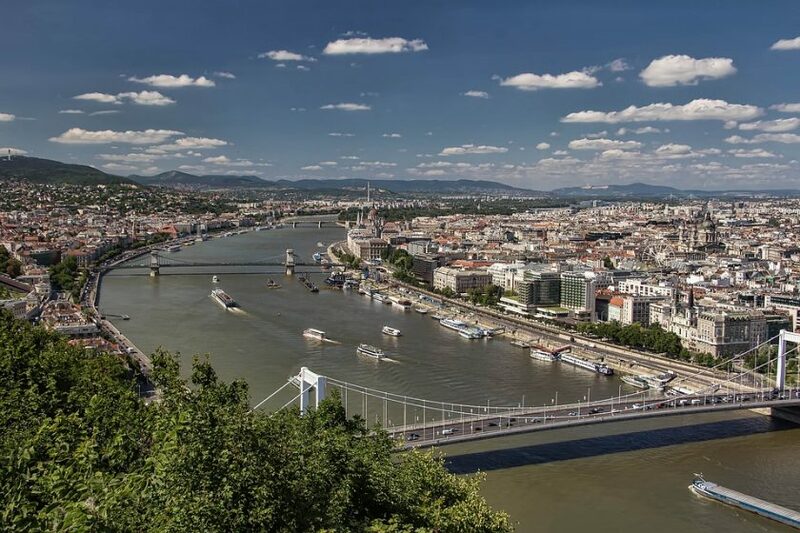 Depending where you are standing on the bridge, you are either presented with a wonderful view of Parliament, or an equally wonderful view of the Buda Castle and the Buda hills with their array of spires and towers. At night the view is just as wonderful as the day, as the city lights up. The bridge also serves as an access point to one of the city’s most popular parks and entertainment areas: Margaret Island. (The entrance to the island is to be found at the middle of the bridge.) 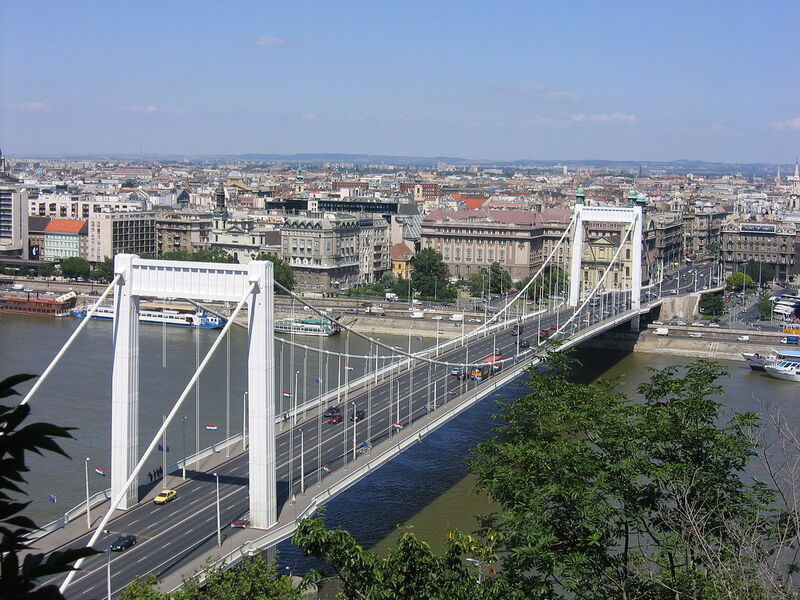 As the bridge forms part of a major segment of Budapest’s transport system, Margaret Bridge can be crossed on foot, by car or by tram. 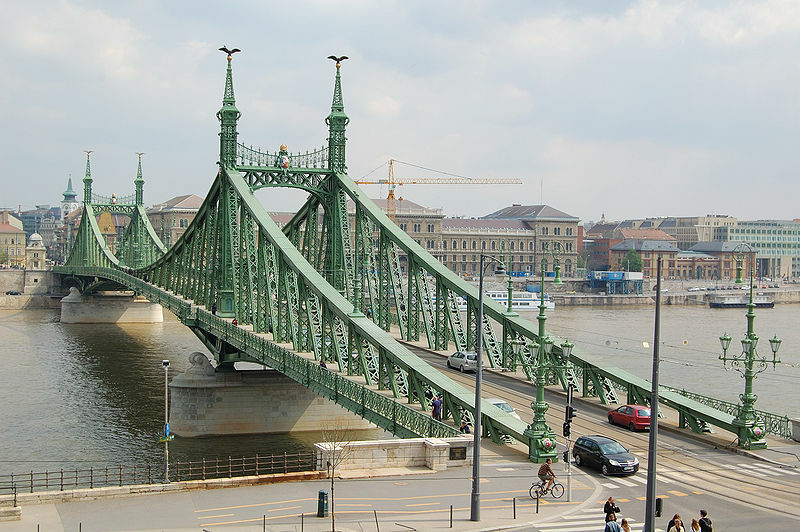 Beautiful, vibrantly green and decorated with mythical Hungarian birds, the Liberty Bridge is also ‘touchable’: due to its relatively small size, (in comparison with some of the other bridges of Budapest), you can reach out and run your hands over its rivets and green surface. The Liberty Bridge is also immediately recognisable due to its memorable decoration and its surprising colour. 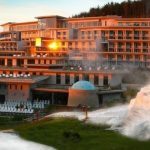 On the Buda side, it is located near to the elegant Gellért square and the Gellért Hotel and Gellért Thermal Baths, and also the famous Gellért Hill. On the Pest side, the bridge leads to the Great Market Hall and to the end of the famous Váci utca. All in all, it is a fantastic bridge to stroll across at any time of the day, and remains very popular with both tourists and locals. White and sweepingly elegant, the Elizabeth Bridge, due to its unashamed modern design, seems as individual as the Liberty Bridge. Named after the much-loved Empress Elizabeth of Bavaria, the modern bridge is a replacement of the original that was sadly destroyed in World War 2. The bridge connects downtown Pest with Buda. 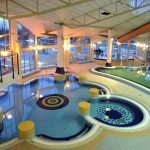 On the Pest side, the bridge leads to the middle of the elegant Váci utca, while nearby on the Buda side, you can find the Rácz Thermal Baths and also the Rudas Thermal Baths. 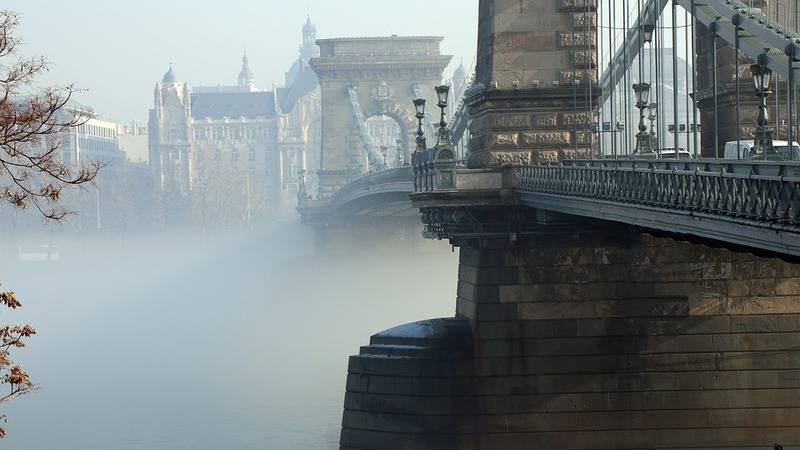 Guarded by watchful lions, this is the most famous bridge of Budapest. The brainchild of Count István Széchenyi, this grand bridge was designed and built by British engineers in the 19th Century. The bridge spans the Danube right through heart of the city and offers the most romantic of backdrops, especially at night when it is lit up. 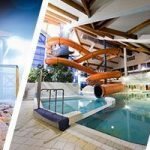 On the Buda side, there is a funicular railway that takes visitors directly up to the Buda Castle district, while on the Pest side there is the Gresham Palace. It is not an exaggeration to say that any visit to Budapest cannot be complete without walking across the Chain Bridge.